If you have been blessed with two children at once – congratulations! Your hands will be twice as full, but so will your heart! 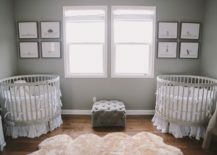 The unexpected news may leave you wondering how to properly set up and decorate a nursery for two babies; but no worries! The internet offers a ton of inspiration and we have picked out some of the most adorable and diverse twin nurseries for this roundup! 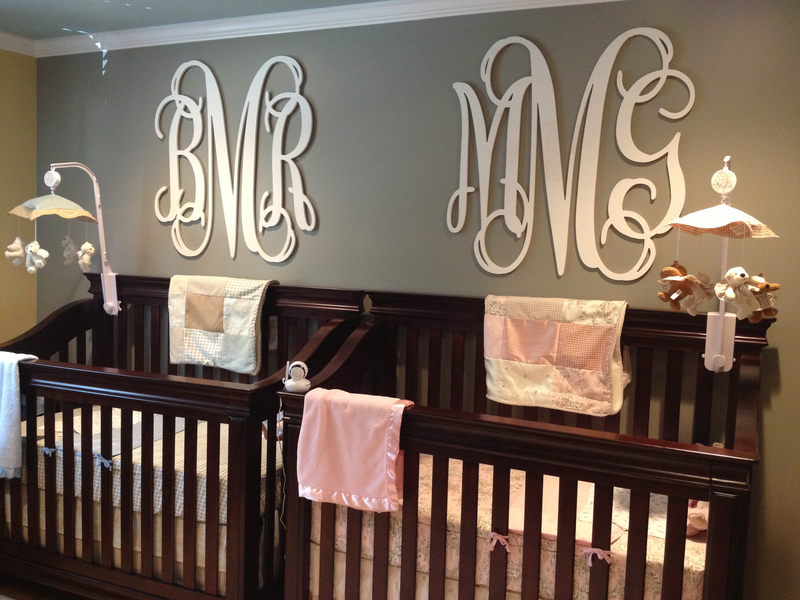 Two identical cribs side by side, with solely big monograms placed above them, create a simple, traditional and personalized nursery. 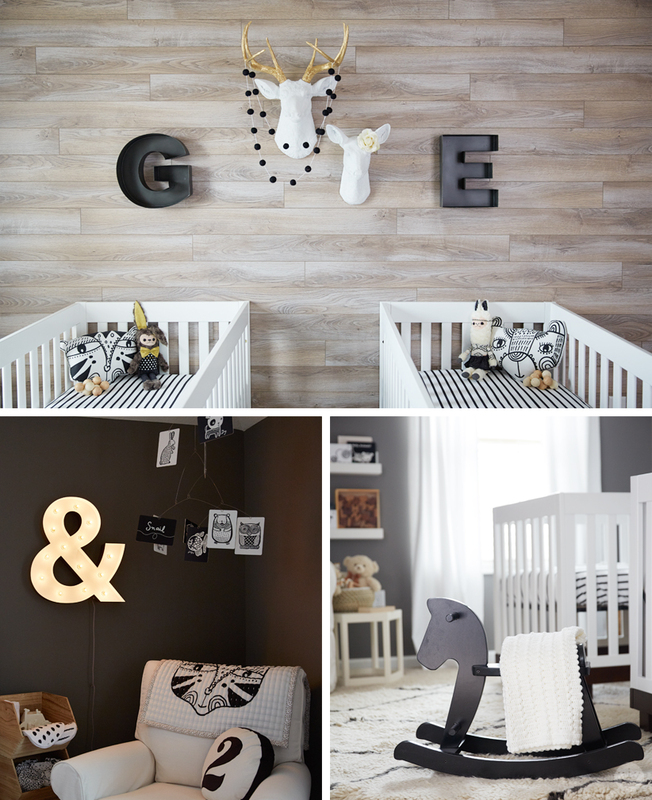 It is such a lovely way of styling your babies’ very first room! While they may not appreciate the interior in their first years of life, as they grow older they will look back at it and find it astonishing! Just because it’s going to be accommodating two babies doesn’t mean the nursery can’t be small and cozy; this mint-colored nursery by is the perfect example. 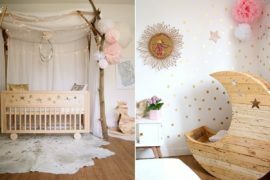 A bright white nursery with golden elements is the perfect choice for the duo that is destined to become a style icon! Elegance and serenity is how we can best describe this setting by . 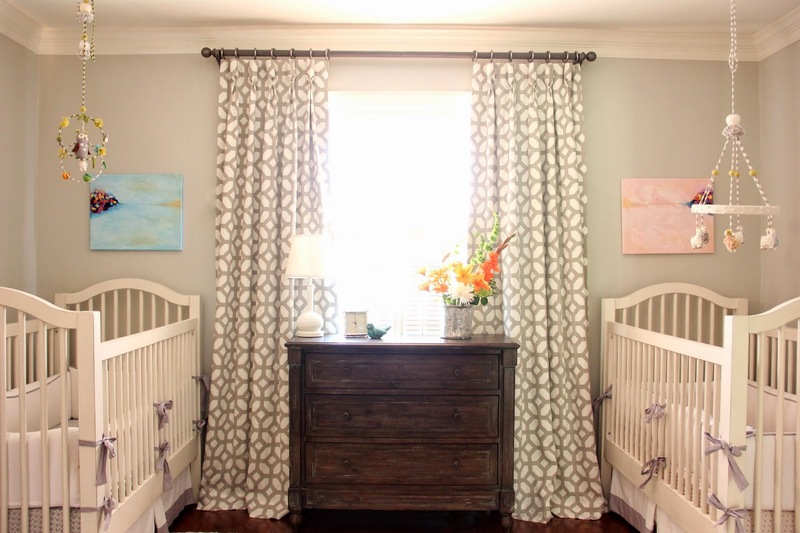 This nursery has an incredibly orderly look to it, especially with the rustic wooden drawer in the center of the room, positioned so neatly between the two cribs. Spy the look at . 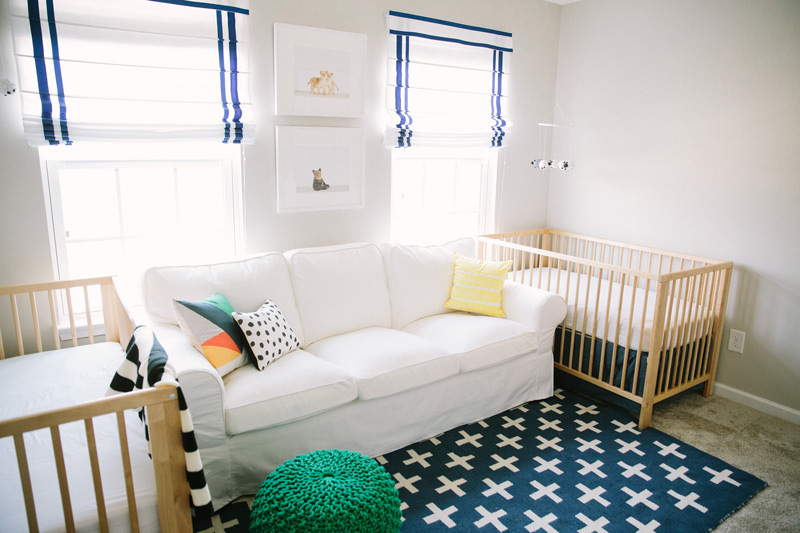 An open and spacious nursery with a couch big enough to accommodate two tired parents is something worth admiring! The drop-down curtains with sailor blue stripes make the whole room downright memorable. See it at . 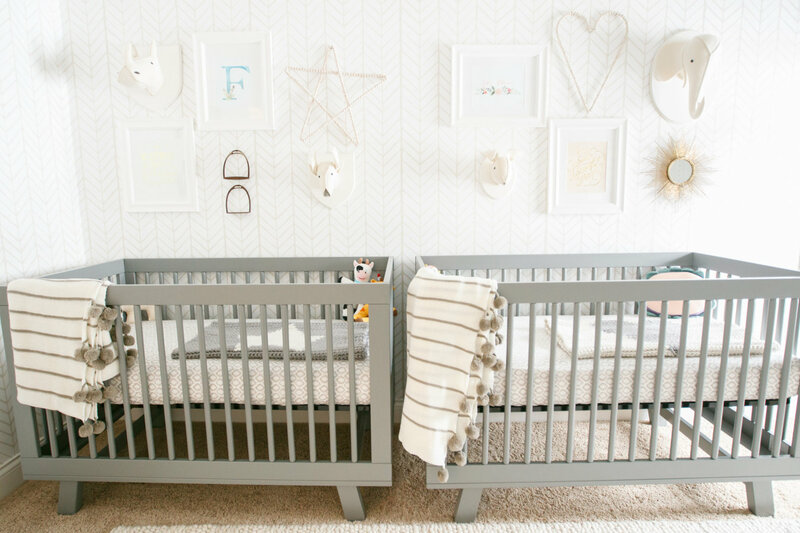 A lovely gray nursery with round cribs is a true treat for the eyes. Peaceful and neutral, this is the place where your two babies will sleep ever so soundly (until they wake you up in the middle of the night, but there’s beauty in that too!). 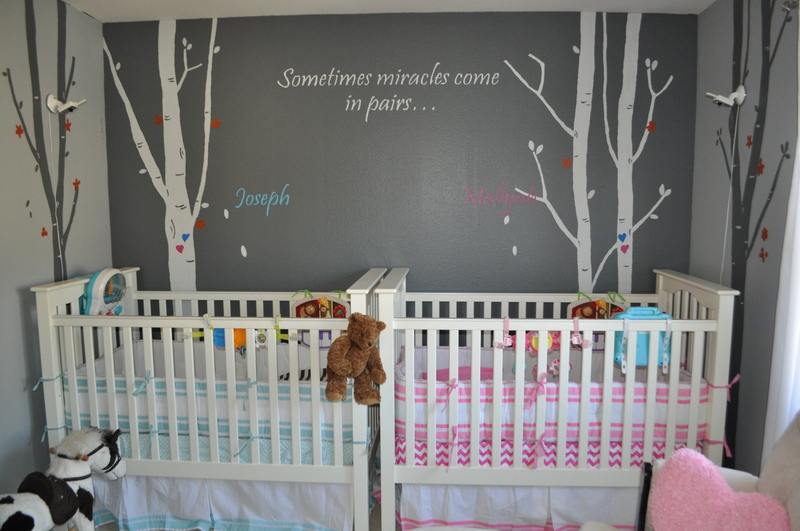 Find this nursery at . Heavily decorated nurseries are very popular indeed, but you can keep things absolutely minimal and still have a stunning room for your precious twins. 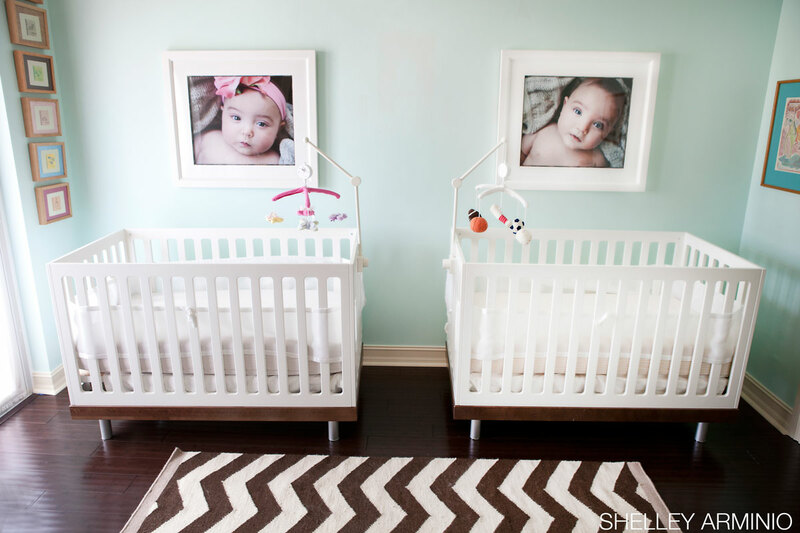 Look at this twin nursery that is really simple but radiates love nonetheless! Once your children are welcomed into the world, it is such a lovely sentiment to place their photographs above their cribs! Idea by . Sweet little name tags are a moving and thoughtful way of decorating your twin nursery; it is such a simple, yet personal way to put something lovely on their wall! Picture by . The cream colored walls are an amazing choice in combination with the dark wood. 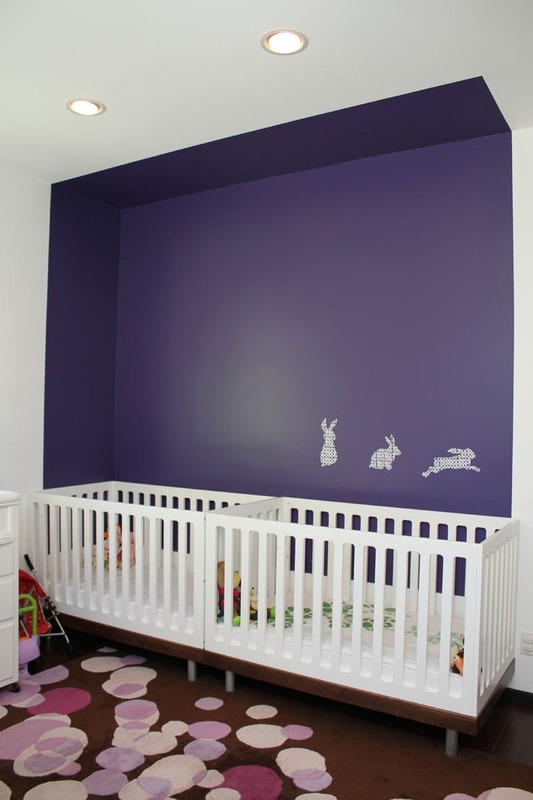 A perfect pairing if you are wishing for a gender neutral nursery! Picture by . 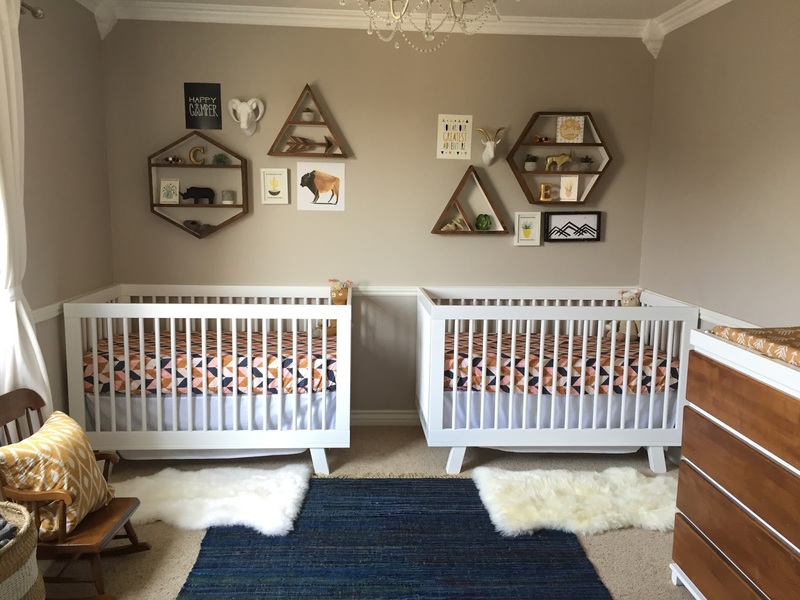 Adding some geometric shelves to your twin nursery will bring dynamic to the room, just like your two new additions will bring it to your life! Spy this nursery at . 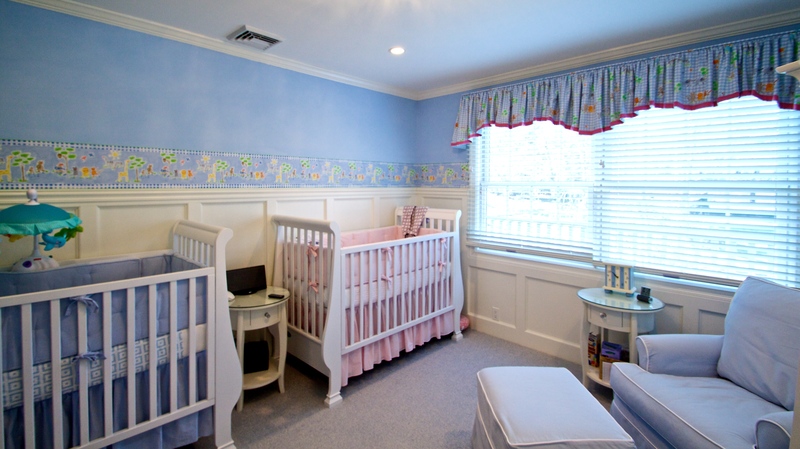 Nothing says luxury like a royal looking nursery, fit for your two little princes or princesses! Adding tiny canopies is just the special touch to emphasize how special your little bundles of joy truly are! These old-fashioned nurseries have an incredibly distinct look. Decorated in golden tones, they radiate warmth and sophistication. 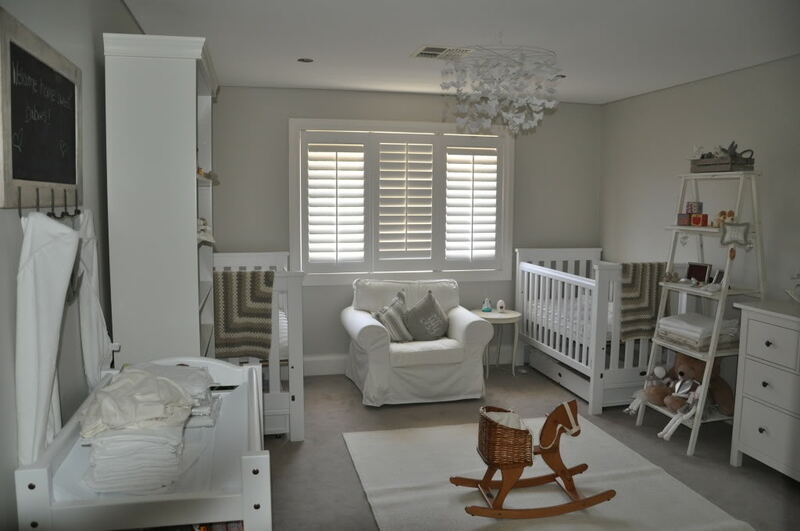 If you love the neutral tones but don’t want the nursery to look too dim, pair your gray cribs with a white wall to enhance the brightness, like you can see at . 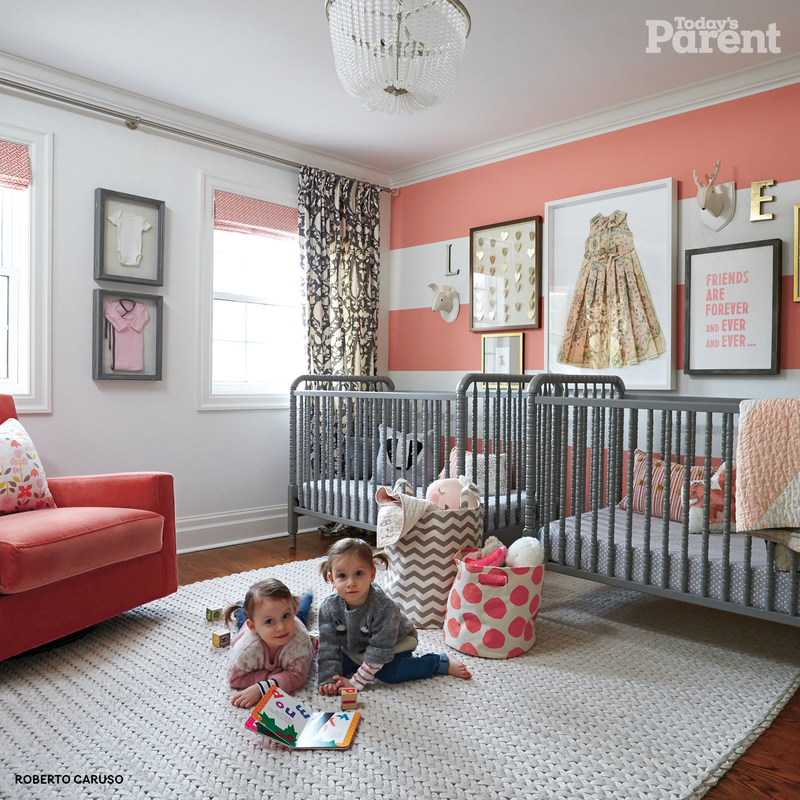 This colorful nursery is perfect for vibrant little toddlers whose personalities are just as colorful and vivid as the interior itself! 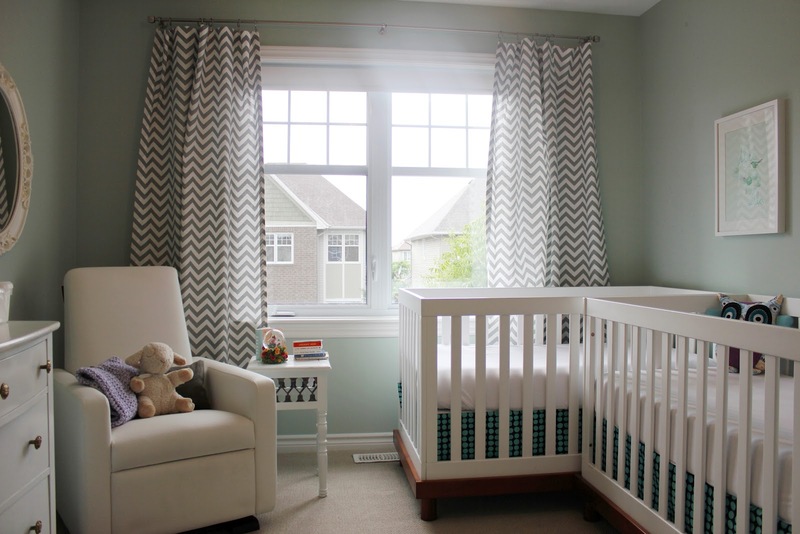 To balance the color palette you can add gray cribs and so create the perfect mix of neutral and hued! Inspiration by . Another example of how lovely the gray tones pair with colors comes from that shows the pairing of intense pink with a mild gray. 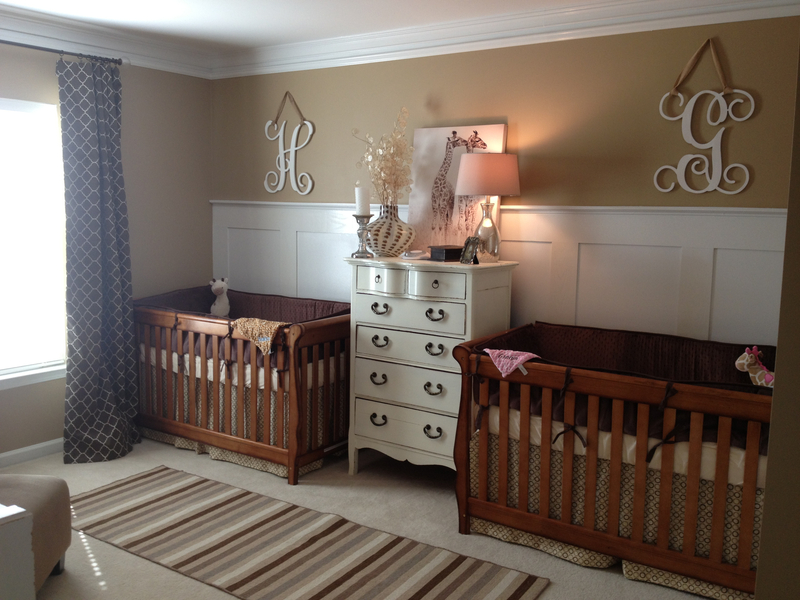 We must say the nursery looks flawless! Sometimes twins, even when identical, are like day and night! 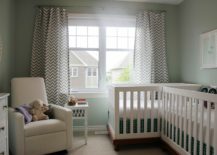 Celebrate the contrast in their personalities, ones that parents can so clearly see even in their children’s first months of life, by opting for two differently colored cribs! See how it works at . 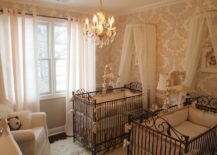 For a perfectly vintage styled twin nursery look to . A carefully chosen interior full of floral patterns and subtle tones of pink and green are only complimented by the sweet rocking chair in the corner! 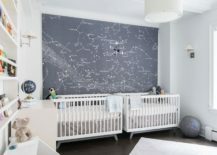 If you want to bring some outer space vibes into the nursery for your two little gifts from the universe, a wall of constellations is a very simple way to achieve just that! 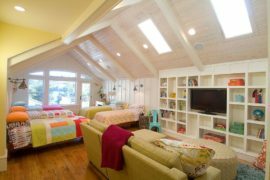 Peek at and see how it defines the entire room! The yellow wall decoration amidst the neutral interior brings in a touch of liveliness and cheerfulness! Setting the two cribs in a corner gives the whole room a cozy feeling, only emphasised by the comfy sofa in the center. 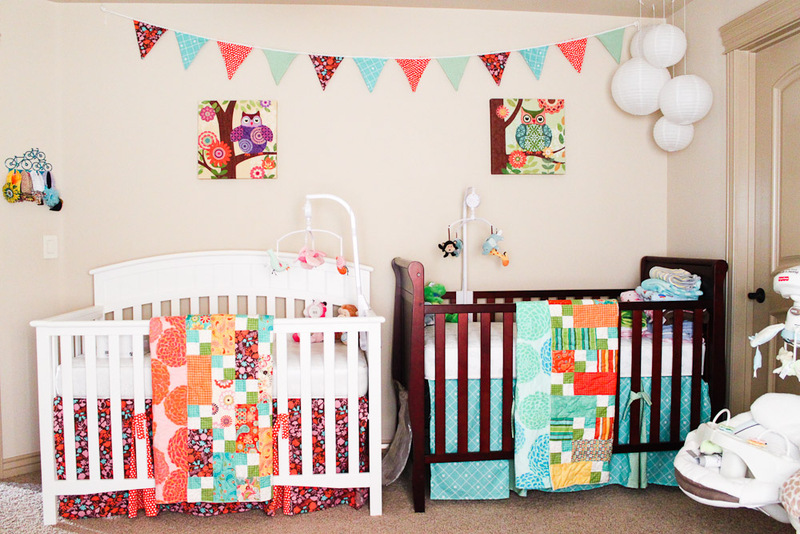 We love this nursery by ! Having twins means the house can get loud, seeing as there are two babies crying not just one, and having a darker nursery where the energy is very peaceful will surely help you stay in a calm state of mind as you sit down on a sofa and slowly nurse them back to happiness! Check it out at . 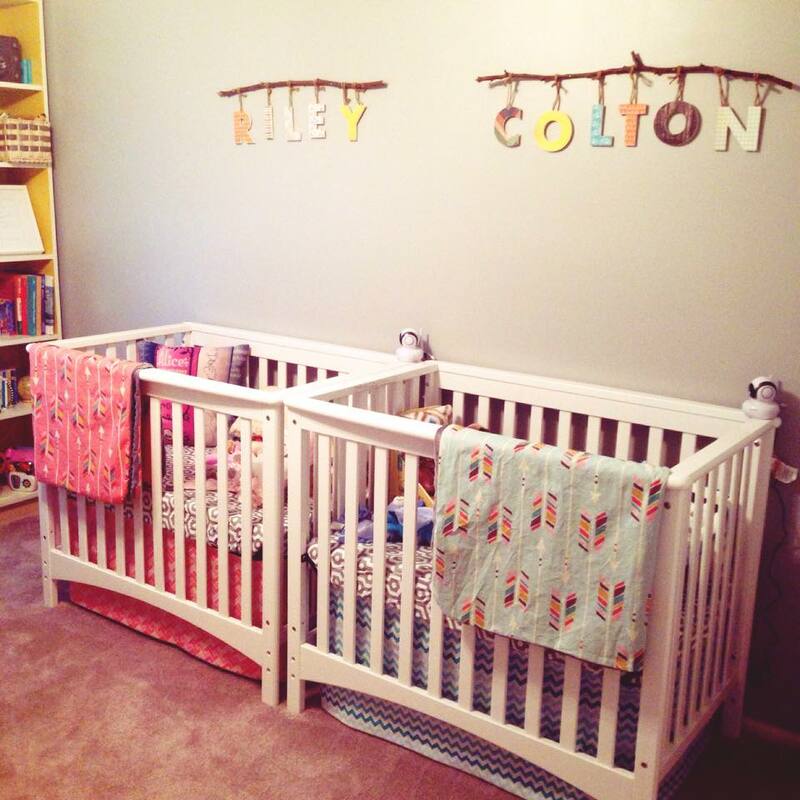 A colorful blankets, neatly set around the room, and a wall gallery already in place all create a welcoming room for your new additions to the family! You will be spending a lot of time in here, so the room has to look the part! Inspiration by . 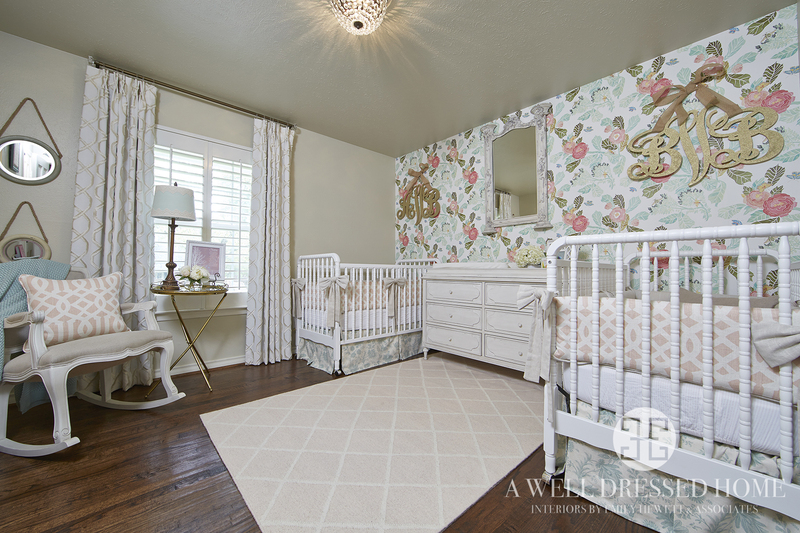 Nothing says bliss like a dreamy nursery with vintage elements and calming color palette. 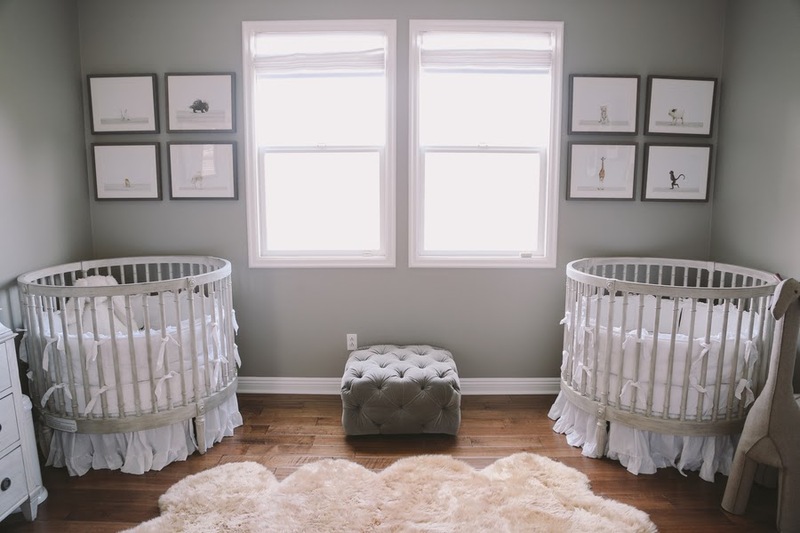 The high cribs are a lovely way of bringing something old-fashioned into a big and sunny nursery, connecting the tradition to modern luxury! A unique wall decoration is always welcome! 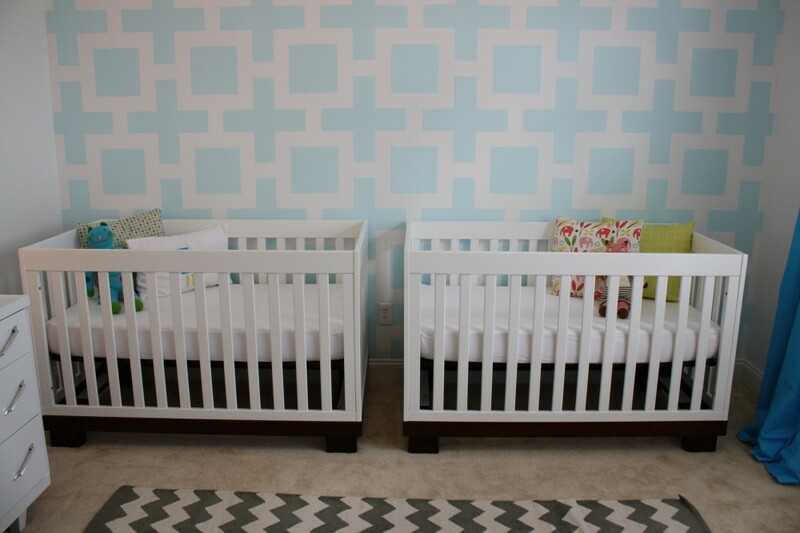 Choose the cool colors of blue in combination with a squared pattern to go along with the simplistic white cribs! Inspiration found at . 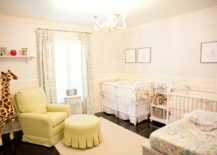 If you like to stick to an established tradition of blue versus pink, the two nurseries above are perfect to draw inspiration from, if you are expecting a boy and a girl. The cribs are in a lovely white color that works exceptionally well with both chosen shades. Another thing that really helps is setting up your traditional blue and pink combination against a marvelously decorated wall that tells a compelling story! 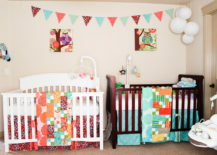 presents a nursery that is radiating warmth and glee! 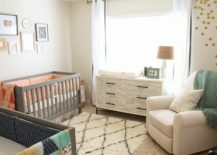 These feelings will only amplify once your babies arrive, but simply looking at such a welcoming place will make your “baby watch” days even more exciting! Let’s start the countdown!